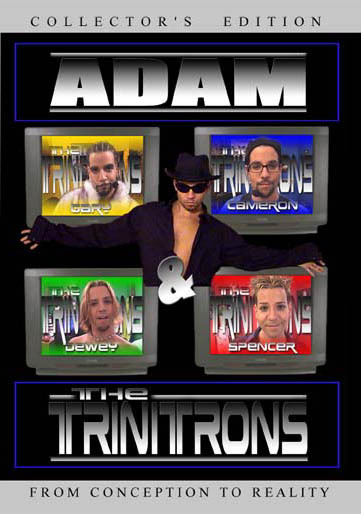 Buy this DVD with Adam & The Trinitrons - Collector's Edition DVD ~ Adam Kontras today! Determined to have the band gain a broader audience, Adam and Cameron devise a way to "censor" the group during the live show. Adam once again takes it a step too far by trying to force them to read from scripts, resulting in a hilarious show for the audience, but a disaster for the band. They all finally quit, yes even Spencer, and what follows has to be seen to be believed. 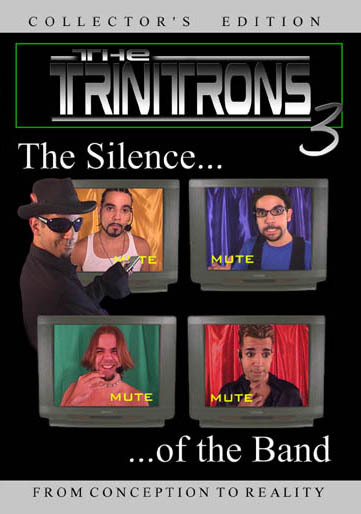 The third and final installment of The Trinitrons outdoes them all with incredible production value, unforgettable songs, and an absolutely amazing twist at the end. Don't miss this.